70 incredible horror shops have come together to support one of their own in a time of need, and your generous donation can win you some killer prizes. 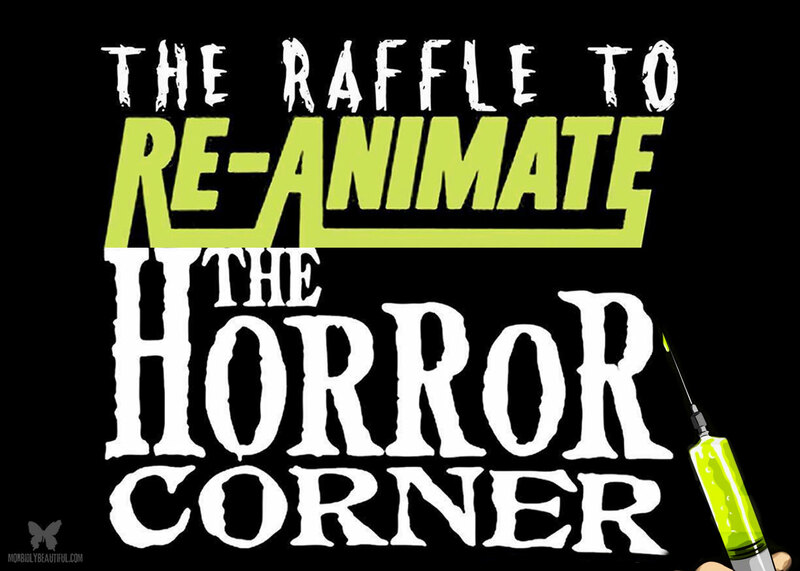 We at Morbidly Beautiful are beyond honored to be a part of a very special Horror raffle to support our kindred creep, Stephanie (aka Bunny), owner and operator of The Horror Corner. Her tragic story touched us deeply, along with so many incredibly kind and giving members of the wonderful Horror community. Stephanie was recently placed in critical condition with deep third degree burns over her legs, back, hand, and arm. Her shop was lost to a fire, as well as her beloved pets. All her merchandise, equipment, and handmade items — in short, her entire business — was lost in the fire. As a result, she has had to closer her shop while she recovers and tries to rebuild. Her two-story house suddenly caught on fire while she was sleeping. She was trapped upstairs and after making every possible effort to save the lives of her two Huskies, Ghost and Spirit, and her roommate’s cat, Mocha, she had no other choice but to jump out of a second story window. All three pets tragically died from smoke inhalation and were found at the top of the stairs. Two heroic neighbors risked their own lives to help save Stephanie, and thanks to their brave efforts she is alive and fighting to recover. Recovery is expected to be one-two years. Like so many incredibly hard working small business owners, she does not have medical insurance. And since her shop was also lost, there is no incoming revenue. There is currently a Go Fund Me page to help pay for Stephanie’s medical expenses, so that she can recover and get back to her passion. But we wanted to do more…and hopefully encourage more members of the Horror community to give what they can to help out. We teamed up with one of our favorite shops, the wonderful Boogeywolf, to bring you a HUGE assortment of incredible Horror merchandise — more than 270 items from 70 shops. 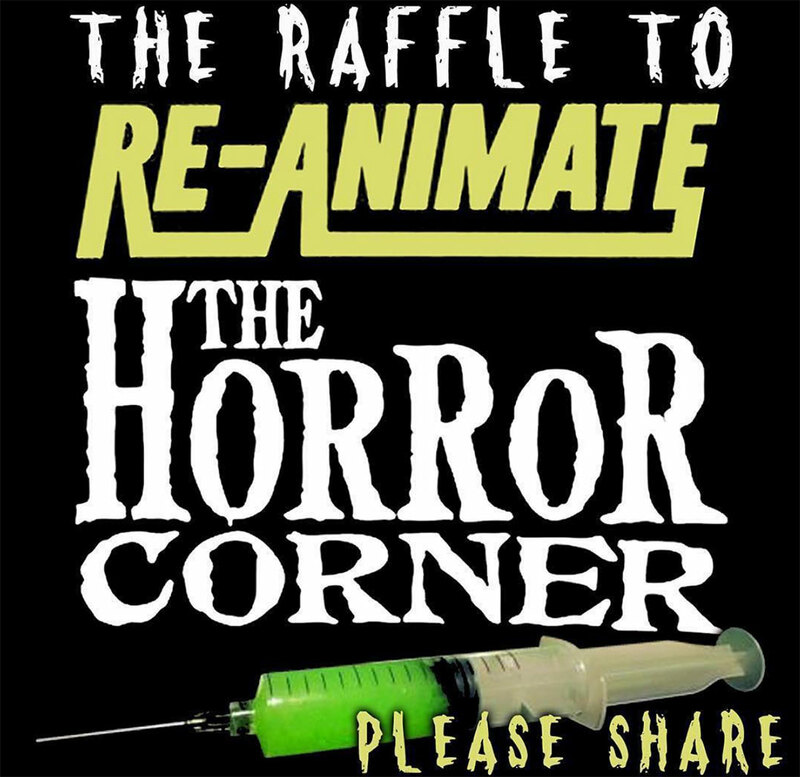 By purchasing a raffle ticket, you’ll be eligible to win a large assortment of prizes ranging from horror art, sculptures, jewelry, pins, clothing, exclusive items and so much more. Want to participate? Contact us at morbidlybeautifulhorror666@gmail.com. Send us a pic of the item(s) you’d like to donate, and we’ll get you added to upcoming promotions. Thanks so much for your generous support. Honored to be able to help a fellow horror shop out! My situation was a bit different but when I was going through some very serious surgeries with lots of complications the help of others was what really got me through it all.